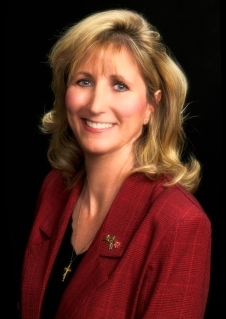 On September 12, the 5:00-6:00 p.m. drive-time hour of Catholic Answers Live, hosted by Patrick Coffin, will feature CPLC Executive Director Karen Garnett whom Patrick has invited to share about the CPLC’s Convert-to-Life / Sidewalk Counseling Ministry. Catholic Answers Live is a daily national two-hour radio program dedicated to Catholic apologetics and evangelization. According to listener surveys, it is a runaway favorite on Catholic stations across America. As a call-in program, Catholic Answers Live connects listeners to prominent leaders in the Church today including scholars, nuns, priests, bishops, and cardinals – and touches on every aspect of our lives as Christians. Please join us in prayer as Karen has this great opportunity to share the Gospel of Life and listen to Catholic Answers Live on GRN KATH 910 AM on Wednesday. You can call in with your questions at 1-888-31-TRUTH. Join us as we kick off the next 40 Days for Life campaign in Dallas, holding the record as the largest campaign vigil in the world (6,000 strong)! The rally will open with praise and worship, followed by dynamic speakers including the profound testimony of Frank Gray of Forgotten Fatherhood. For more information, please visit prolifedallas.org/40days. Render Unto Caesar Conference, tomorrow! The conference will train and activate faithful citizens to be involved in the public square. You will hear from experts in the field, including Bishop Mark Seitz, the CPLC's Karen Garnett, Jeff Patterson of the Texas Catholic Conference, and luncheon keynote speaker Angela Balderaz – a Dallas abortion survivor and one of the 39 women who participated in the historic 'Back to Life' walk. 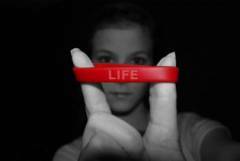 Rachel remembers being excited as she purchased a red Bound4LIFE bracelet with the single word LIFE engraved on it. Wearing the bracelet wasn’t a fad or fashion statement for her, but a sign of her commitment to pray daily for the ending of abortion. But one day, as Rachel was loading groceries into her car from Walmart, the LIFE Band inexplicably slipped off her wrist and landed on the parking lot, without her even knowing it had happened. . .